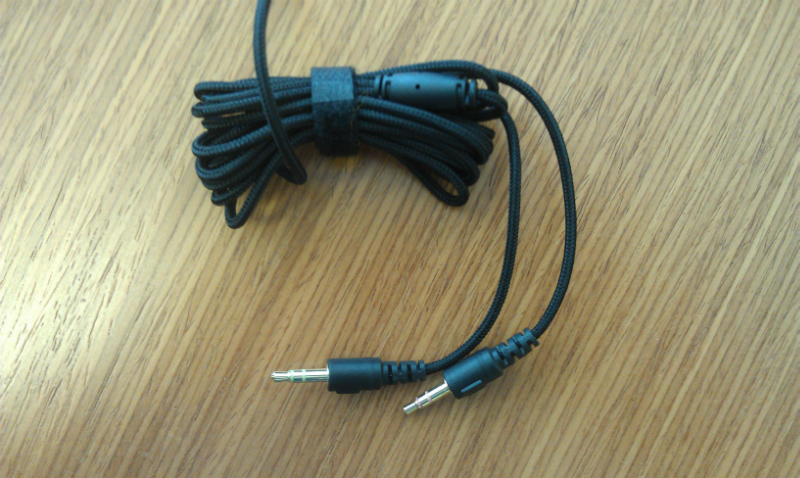 Plugging the mic and headset jacks into my system and adjusting the headset is pretty easy business. I have a larger than normal head (at least that’s what my friends say) and I was able to find a setting that worked for me. The ear cups completely surrounded my ear, which is good because the ones that sit on the ear can be painful after 30 minutes or so of use. 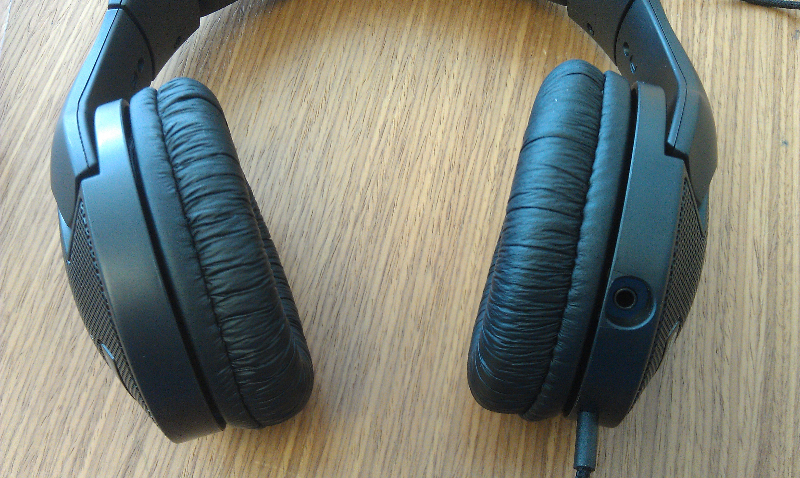 The “leather like” cushions were more then soft, and the headset sits well when worn…not being too tight or too lose. After a 3 hour gaming session, I was pleasantly surprised to find that the headphones breathe very well and there were zero “hot ear” issues. Kudos to Ozone! Adjusting the volume and muting the mic using the inline controls work as advertised, and even thou the controls appear cheap, there wasn’t any “static” noted during their manipulation. When it came to the mic, I was a bit concerned because the boom arm was a bit short, but the mic performs extremely well with great pickup. The short arm actually works well in the end preventing users from putting the mic directly in front of their mouth and treating their buddies to a Darth Vader impersonation. 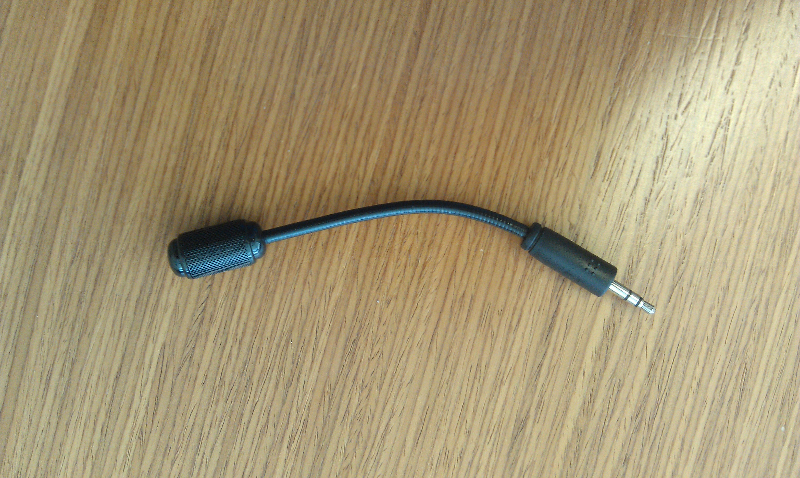 Evaluating the “sound” quality of the headphones was a bit more subjective. 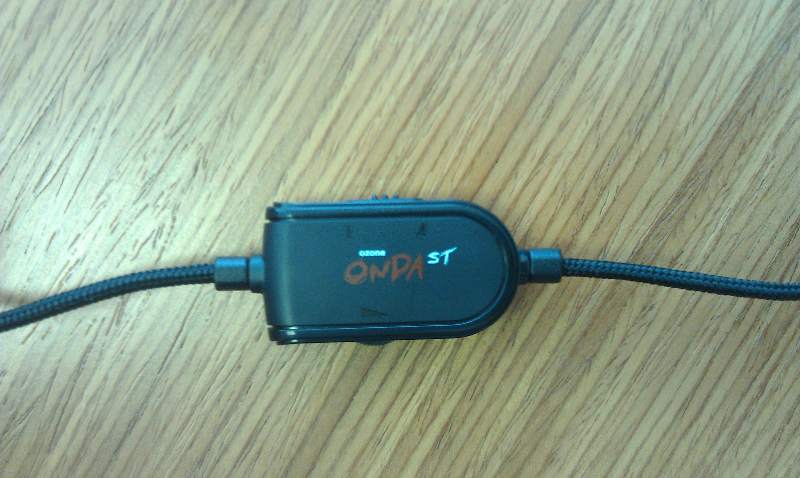 I have other headsets (Turtle beach PX5 and X41, cheaper stereo Plantronics) and the only negative I have with the Onda ST headset is that the sound is a bit muddy. With the single 40mm drivers, the highs just aren’t as clear. The bass reproduction is good, and the overall sound and imaging (sound depth) was good, but the highs were noticeably absent making high quality in game sounds a bit lackluster. Was it bad enough to hate? No. Would I be able tell if I didn’t have other headsets that are 4-5 times the cost? Probably not, as after a few hours of gaming it didn’t bother me as much. So in this case ignorance can be bliss. 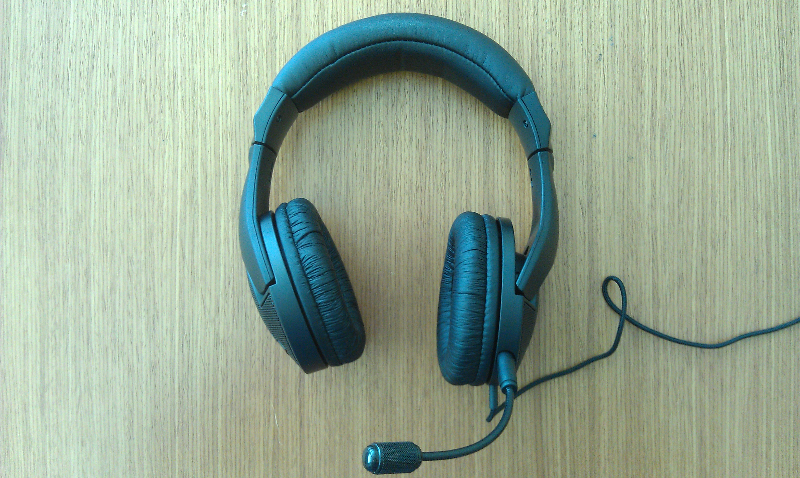 Given that the Ozone Onda ST headset can be had on Amazon for $41, it’s a bit unfair to compare it to some of the Turtle Beach and Tritton headsets, but it’s a good litmus for where they fall in the bell curve of quality versus cost.